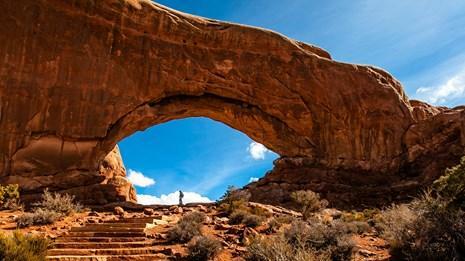 The Mountain West is home to a large portion of the nation's national parks, including Arches National Park in Utah. House Democrats railed against the Trump Administration’s proposed National Parks budget in a committee hearing this week. The Trump Administration wants to allot the National Park System about$2.7 billion. This would be about a 15% decrease. Democrats on a House Natural Resources Subcommittee said that’s not enough. They highlighted the continued maintenance backlog in the park system. “It only raises further questions about this administration’s prioritization of certain uses over the health of our public lands,” Halland testified. Smith also pointed out that he’s hoping Congress will pass a public lands infrastructure bill that would help pay for the backlog. National Parks saw more than 300 million visitors last year, for the fourth consecutive year in a row.